Alhamdulillah on Sunday 15th of November I went to the seminar done by Ustadha Yasmin Mogahed 'The greatest quest: Steps towards an everlasting marriage' in shaa Allah. I was really looking forward to her seminar. Couple of years ago, I started reading her writings. Alhamdulillah Couple of years ago, I went to her first talk in London at LMC organised by Al Buruj press, sponsored by Orphans in Need. Since then every year , I like to attend her events. 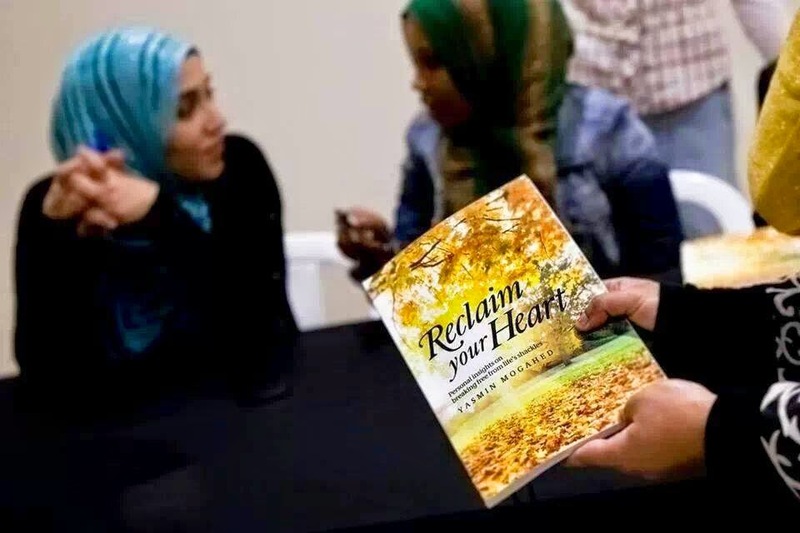 Her book 'Reclaim your heart' is an excellent read mashAllah. I believe it is a must read mashAllah. Alhamdulillah as usual, her talk was full of wisdom. I did take a lot of notes . What I need to do now during this week is to reflect, discuss and plan what areas I need to improve in shaa Allah. I have been discussing some of the issues she touched upon with my better half alhamdulillah . As it was a seminar about relationship, it is very crucial to discuss with the spouse and work together to build a sound, healthy conjugal relation. Before I share my notes, I want you to know these notes are based on what I have understood from her talk. I don't want you to think that these are exactly what Ustadha Yasmin said. In order to truly learn from her , I will suggest you to follow her on YouTube and read her writings on her website. In terms of verses from the Qur'an, I have used the translation by M.A.S. Abdel Haleem's The Qur'an published by Oxford University Press which is a highly recommended English translation by Ustadh Nouman Ali Khan. Here in this ayah, Allah is showing us a sign among the numerous signs in His vast creation. What is the purpose of a sign? The purpose of a sign is to direct us to our destination. So marriage is one of the signs to our destination. This is not the sign but a sign among lot of other signs He has shown us. Our destination is be closer to our Rabb, our Lord, Allah subhanahu wa Ta'ala. Marriage is a path to that destination, but not the ultimate path to the destination. We live in a society where we are deluded in believing that we as women are not complete until we get married. People quote a particular Hadith to back this mentality, saying " Marriage is half of Deen i.e faith" But what we need to realise that men and women are individuals who have the potential to be complete only through worshiping Allah subhanahu wa ta'ala wholeheartedly. Maryam (Mary, mother of 'Eesa Alahis Salam) Alahis Salam is a great example of a complete woman. Was she married? Our beloved Rasulullah sallallahu alaihe wa Sallam informed us that Maryam Alaihis Salam is one of the women who perfected their faith. Popular media and culture give us this false impression that we are not complete until we get married. Sometimes we tend to think marriage is our ultimate destination. Just like the fairytales, where Sleeping beauty and Cinderella waiting eagerly for the charming princes to come to "save" them and complete them. But marriage is just a path among lot of other paths to our ultimate destination, which is to be closer to Allah subhanahu wa ta'ala. Allah subhanahu wa ta'ala designed us with an emptiness which can be filled only through His remembrance. When we assign that purpose to our spouse, we are bound to feel disappointed. You have set him/ her up to failure. They will indeed feel like losers. And when we fail, we tend to shut down. We don't feel like trying anymore. We are asking for too much from the spouse , assigning him/ her with superhuman job-description. So when the person continues to fail, he/ she eventually shuts down. And it is all due to having improper expectations. So what is the purpose of marriage? It is to help us to be better people and get closer to our Rabb, Allah subhanahu wa ta'ala. Marriage is a training ground for our character . It is easy to learn the theoretical aspect of essential qualities such as patience, perseverance , honesty, trust but to act upon them, we must go through the training. And marriage gives us the golden opportunity to learn these crucial qualities to enable us to become better human beings. When you are a spouse, you learn to be patient, you try to control your lower nafs i.e your ego, learn to apologise. And that is why marriage is regarded as half of faith. We all have needs and our needs need to be fulfilled if we want us to be functioning properly and offer our service to others. Sometimes as women we make this big mistake of believing that our need doesn't matter. We give priority to the need of others, husband, children , parents, in-laws and so on. But we must have a balance. It is definitely not about me but at the same time, it is not like, my needs doesn't matter either. You gotta take care of yourself first and only then you can look after others in a better way. If you don't feel full and nourished from inside spiritually, mentally, emotionally, physically, you will eventually have burn out. We all have our needs , needs to be nourished spiritually, emotionally, physically. But these needs can never be fulfilled by the creations. Only by approaching Allah, our thirst can be quenched. Creations are by nature imperfect and in need of others. We as creations are by default the beggars. No one likes beggars but Allah subhanahu wa ta'ala loves to be begged. Our beloved taught us to ask Him even for shoe laces. The essence of worship is dua i.e supplication, request to Allah the All-mighty. 1. 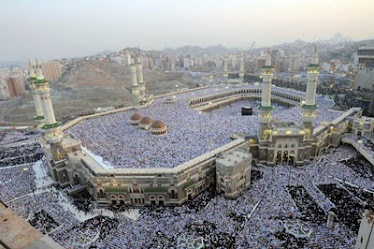 Prayer: We must be diligent in praying our obligatory Salah five times a day and at the fixed time. Never miss a Salah. Sometimes people tend to pray all the Salah at the end of the day, some miss the fajr prayer at dawn. She gave a powerful example . Imagine someone is suffering from cancer and her oncologist prescribed certain medicine to be taken at certain times through out the day. Does she miss taking the medicine? Does she take all of the doses in one go at the end of the day? Or does she says that I can't be bothered to take it on time as I am on Facebook now? To have a strong relation with our Rabb, we must take Salah very seriously. Salah is the oxygen of our soul. When we don't pray, our heart dies. The very life of our heart depends on Salah. 2. Building a strong relation with Allah subhanahu wa ta'ala's Book, Al-Qur'an: Reading, studying, pondering over the Qur'an on a daily basis. Make a plan of how much you can read on a daily basis. And ponder upon the verses on a daily basis. 3. Daily adhkaar : Download an app which has morning and evening dua with the meaning. Make it a habit of reciting the sunnah dua after the fajr prayer for the morning and after the Asar prayer do the evening dua. So these are her three part prescription which she calls 'The Zikr challenge' unlike the silly ice bucket challenge of pouring ice on your head! So the Zikr challenge can help us to build a strong relation with Allah subhanahu wa ta'ala in shaa Allah. "People, be mindful of your Lord, who created you from a single soul, and from it created its mate, and from the pair of them spread countless men and women far and wide..." The Qur'an Women Al-Nisa 4:1 The essence of men and women is same, 'From you, for you', professor Abdel Haleem in his translation of the Qur'an says, 'From the same essence' Razi convincingly reached this conclusion based on comparison with many instances when 'min anfusikum' is used in the Qur'an. He has blessed the married couple with sakinah , tranquility. When we examine traditional stories such as Romeo & Juliet , it is not tranquility that we find in their relation. It is more like torment and addiction. They were not at peace. Without each other's company , they couldn't survive. Death seemed like a great solution if they can't live with each other as they were addicted to each other. They become the ilah for each other, the object for worship. When we take any other ilah instead of Allah subhanahu wa ta'ala , we become the slave of that object. We can't survive without the object. That's why we see people who literally live (worship) for their spouses, jobs, children etc, when something happens to them, they can't survive and commit suicide. Once Plato said, love is a serious mental illness. This sort of "love" popularly depicted by the popular culture is a serious mental illness. It is not healthy at all. Allah subhanahu wa ta'ala tell us His Book that when we take an ilah with Allah, then we will be tormented in this life and in hereafter. We must remember that no one can fill the void created by our Rabb. Only through His worship, we can be truly happy and feel content. If I make my spouse, my children, my wealth the object of my worship, I will be indeed tormented because they are never meant to fill us from within. Yasmin gave a example of a car which needs gas/petrol to move. Imagine instead of using the right fuel, I pour orange juice in the engine. It is bound to break down. When our focus is not right and we end up filling us with the wrong fuel, as a result we break down but we question Allah why did He do that to us!?! So how do we detach ourselves? The essence of detachment is keeping things in our hands instead of in our hearts. She told us a beautiful story of imam Abu Hanifa Rahimallah. Once while he was teaching his students, someone came and informed him that his ship has drowned. He took a moment to think and then he carried on his lesson. After a while the person came back and told him, it was actually a mistake. His ship is okay and on its way. Once again he took a moment to think and he resumed his lesson. His students felt curious to know why he did that. Imam Abu Hanifa Rahimallah said, when he heard his ship has drowned he checked whether his heart was moved by the loss of his wealth and he found it unmoved. And when he heard the ship was okay, he checked again the state of his heart and it was unmoved subhanallah. This is called detachment. There were lot of very wealthy sahaba (companions of the beloved prophet) who were detached from their wealth. They gave without any hesitation. Just before the lunch break, sister Shazia Saleem the founder of ieat (who sponsored the event) did a brief talk about her inspiration, lady Khadija RadiAllahu Anha. She was a very wealthy business lady. She was known as the princess of Quraish in Makkah. She offered her hand for marriage to our beloved Mummad Sallallahu Alaihe wa Sallam. When the prophet said he can't provide for a wife, she said she is okay with it. On her wedding night she gave a huge bag of gold coins as gift to her husband to honour him sallallahu Alaihi wa Sallam. She was a great wife and she gave all her wealth to serve her beloved soulmate. When she died she didn't have a single coin in her name. Shazia said have we seen any wealthy person in this day and age who leave this earth without a single coin in their name. It is quite mind blowing to think what a great woman Khadija RadiAllahu Anha was. No wonder she has been mentioned as one of the greatest women in Islam by our beloved prophet Sallallahu Alaihi wa Sallam . Her life story teaches us about detachment for Allah's sake. Allah subhanahu wa ta'ala teaches us in the Qur'an that we will face loss of loved ones, loss of wealth, loss of efforts during our short stay on this earth. Our body, intellect, beauty, parents, siblings, spouse, children and so on are all gifts from Allah subhanahu wa ta'ala. They are in essence gifts. They are gifts for a limited time. No one can claim that he/she deserves the gift. Gift is given as a token of love and care. And the gifts in Dunya can be taken back as the verse indicates. Yasmin gave us a example. If she gives someone a car for ten years and after ten years she wants it back, can that person say no to her ? The car never belonged to that person. It was always her car. We must treat the gifts given by Allah subhanahu wa ta'ala in the same manner. The gifts are a trust. When it is taken away, we are reminded to say Inna lillahi wa inna ilaihir rajeuun. Allah gives glad tidings to the patient ones. Imagine you lost one of your loved ones and someone congratulating you on your loss. Allah reminds us that we belong to Him. Everything we have does not belong to us. It always belongs to Him. The statement He taught us is not just a mere statement. It is an entire world view. When we believe wholeheartedly that everything we have doesn't belong to us then no matter what we lose, we will never question our Lord, "Why me? ","How could you do this to me?" The response of a believer will be inna lillahi wa inna ilaihir rajeuun which reminds him/her that everything belongs to Allah subhanahu wa ta'ala and she/he should have her/his gifts in their hand not in their heart just like Imam Abu Hanifa Rahimallah. When we focus on the hereafter, the nature of our attachment changes. Allah subhanahu wa ta'ala reminds us in the Qur'an that this life is a place of play and amusement . When we are very young, we love playing. When we are pre-teens , we love to be entertained. "I'm bored!" is the most favourite statement of a pre-teen. When we are teenagers, we are obsessed with our look and appearance. We spent ages in front of the mirror. Just before going out with friends, finding a pimple seems like a disaster. Then when we are at college, university, proving that we are capable of achieving a good degree becomes very important. Then comes getting settled by finding a dream job, getting married , having children, having a great house, car , etc become very crucial. Our creator reminds us in His Book, that in this life we compete each other with wealth and children. They become our ultimate attachment but in essence these "attachments" will disappoint us because they are meant to pass away. Nothing in this world remains unchanged. And that's why Allah reminds us through the signs in His creations that we must attach ourselves to Him and His pleasure only. In hereafter, these obsession with self-image, family, career, wealth won't really help us. Only by having a pure heart which enables us to do good for His sake, we can enter the garden.